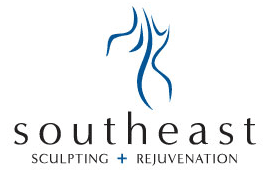 Southeast Sculpting + Rejuvenation is the premier aesthetic medical spa in Fort Mill, South Carolina. Men and women from throughout York County receive expert aesthetic treatments, including CoolSculpting®, MonaLisa Touch®, cosmetic injectables, HydraFacials®, microneedling, and more from a team of compassionate physicians and staff. Owned and operated by two Board Certified OB/GYN physicians, Southeast Sculpting + Rejuvenation was a logical outgrowth of their day-to-day practice. Their 50 years of combined experience in treating women led them to conclude that their patients wanted and needed those innovative treatments and procedures not currently offered in traditional medical practices. This belief gave rise to the first MonaLisa Laser therapy for vaginal revitalization in the upstate area and now to Bioidentical Hormone Replacement Therapy for both women and men. A wealth of aesthetic procedures is likewise offered to help their patients live and age well. The team at Southeast Sculpting + Rejuvenation is committed to helping patients look and feel their best. They customize every treatment plan and procedure to deliver desired results, starting with a detailed consultation to learn about each patient’s cosmetic concerns and overall health. Southeast Sculpting + Rejuvenation is currently welcoming new patients. Appointments are available by calling the practice or scheduling online. "Dr. Hilton has a wonderful bedside manner and has contributed greatly to me getting back to myself post menopause. I highly recommend her services."